What a wonderful start to our collaboration with Herakleidon Museum in Athens, Greece! Launching in Barcelona: how did we get here? Here at greenlight for girls, we’re thrilled to be a part of something big… something exciting… something that will surely make some noise! A strong partnership with greenlight for girls and Cisco has led us to this day when we could not be more proud to announce the first ever g4g Day event in Spain in the charming city of Barcelona this Spring! Our 5th annual g4g Day@Southcoast! What can we do to encourage more girls to enter the world of Information and Communication Technology? Girls should be able to experience the IT world first hand, in an interactive work environment – to be able to see, touch, hear and be inspired by the possibilities their future holds – and it all begins at an early age. Inspired once again in India! We have learned that inspiration has no limits. Once again, our scholarship girls in India have shared with us their passion for learning and for science - so much, it makes us wish we were university students again too! The g4g Team had a very intense weekend, as we participated, last Friday and Saturday (26th and 27th April), in the Belgian Expo-Sciences Fair 2013, at Tour and Taxis. 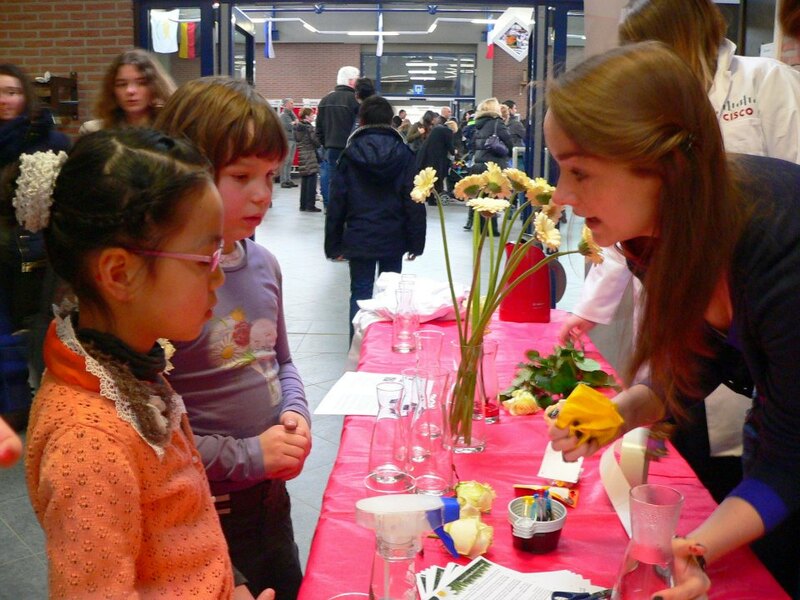 It was a two-day event organized by the Jeunesses Scientifiques de Belgique and the Jeugd, Cultuur en Wetenschap, with over 2,000 Belgian children and teenagers presenting their Science experiments. The best projects were selected by a jury composed by scientists and researchers and will represent Belgium in similar events around the world. 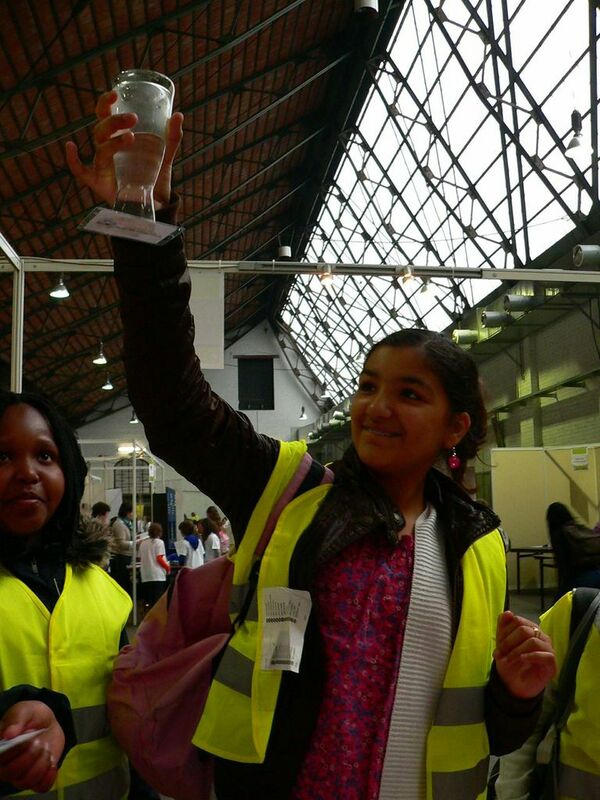 There were also bright girls and boys from other countries that were invited to show their winning experiments. We demonstrated some fun science experiments throughout the two days – our trademark daisy colouring experiment and our almost trademark “Magic Lava Lamp”, but also two new ones: “Under the Sea” (to show how ice with food colouring melts differently in fresh water and in salt water) and “The Floating Water Mystery” (that explained water suspension and how air pressure and surface tension can keep water from falling from a glass). We had a lot of help from our volunteers Cristina, Silke, Rebecca, Soundharya and Hasnae, and children had fun learning the rational magic of Science. 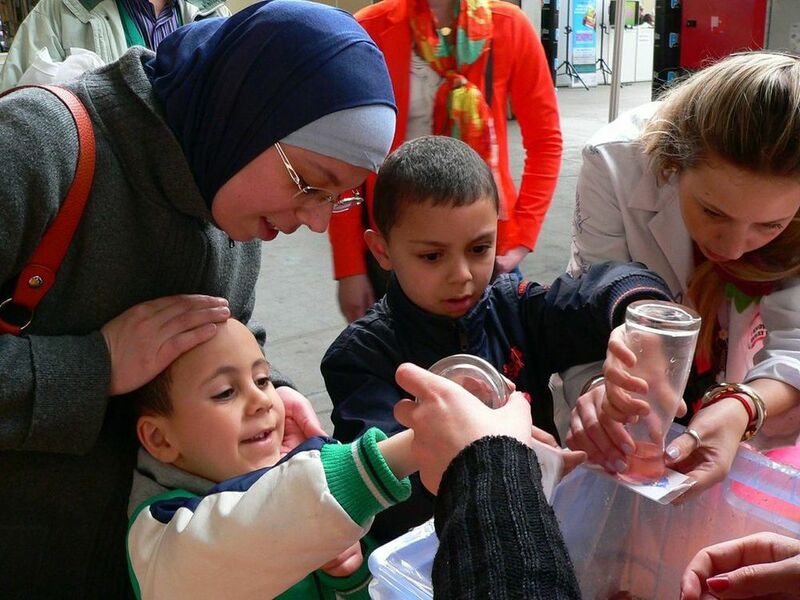 By the delighted reaction of children during our experiments, we hope they realize that Science is fun and that it opens a future that is full of possibilities for them! Greenlight for girls is back at Mol! After the huge success of our last event at the European School in Mol, Belgium, greenlight for girls was part of the ES Mol Open Day last Saturday, 23th March. 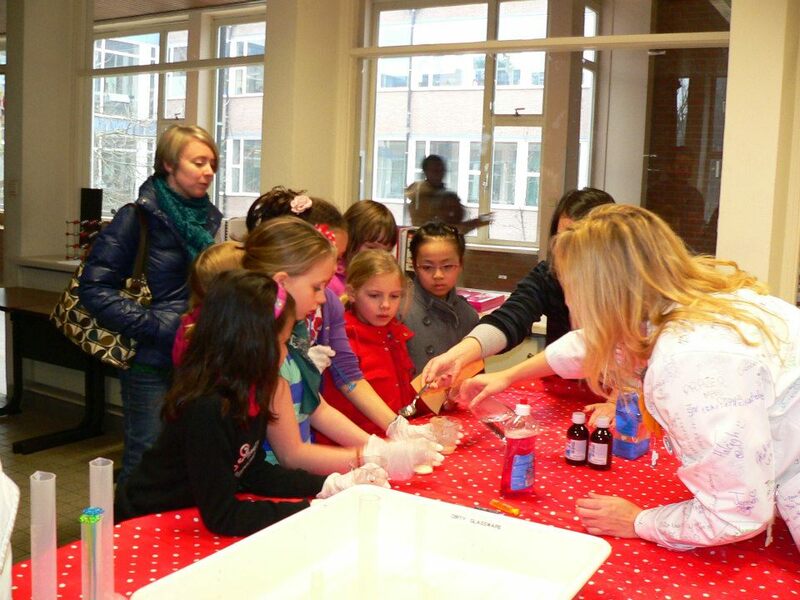 The Open Day is an opportunity for parents and prospective students to visit the school, to get in touch with other students and staff and also to participate in science workshops. So, it was the perfect occasion for us to show them some fun experiments, to present our organisation to children and parents and also to spread the message that “anything is possible!”. The first part of the event happened in the sports gymnasium, where younger students participated in our “Colourful Science” workshop. The idea was to show them how chemical reactions can be better understood with experiments that use colour as principle. So, we performed our signature colour-changing daisy experiment and, for the first time, the same procedure with white roses. Other activities were the magical lava lamp – ideal to show the different densities and polarities of water and oil – and the red cabbage experiment – which tests PH values of different household products by changing the colour of the cabbage juice. This was the good beginning of a very promising day, as these younger children had lots of fun in our first workshop. After the activities in the sports gymnasium were finished, we moved our “Colourful Science” to the secondary school building, where our other workshop, “The Big Bang Theory” was already happening inside of a classroom. There, students could participate in two very cool experiments: “Non-Newtonian Fluid”, which showed how sound frequency can alter the state of matter of a cornflour and water solution from liquid to solid; and “Elephant Toothpaste”, an explosion of colourful foam. Our “Big Bang Theory” workshop was also a very good opportunity for us to start with the first steps of our “Anything is Possible!” campaign. We also had a lot of fun participating in the ES Mol Open Day. It’s always very gratifying to show children that science is amusing and to know their dreams and expectations for the future. Again, we would like to thank students, parents and teachers for their collaboration with our campaign, as well as teacher Sonia Mohan and director Brian Goggins for making it all possible for us. See you in 2014, Mol!